Learn how to make a gift card box. A simple DIY craft tutorial idea that fits a gift card perfectly and will make gift giving easy and personalized. Do any of you play Bunco? I have a group of friends that get together once a month to play Bunco. September was my month to host which means it is at my house, I cook dinner for everyone, and I get to choose the prizes. I decided to do gift cards to different restaurants and fast food places. But you know me! I couldn’t just hand everyone a plain, boring gift card. I had to make them cute! So I made Gift Card Boxes using cardstock and a scoring board and dressed them up a bit. I even made a video so you can see exactly what I did. My boxes measure 3.5 x 2.25 x 1 inch. I made them a little deeper so they could also be used for candy. But did you know you can make this box any dimension you need really easily? But this one was my favorite! There are 12 people in my Bunco group and only 11 Gift Card Boxes and everyone gets a prize. So the person with the lowest score got Peanut Butter, Jelly and a loaf of bread. They don’t get to eat out! Yeah, I think I am pretty funny! SAVE HOW TO MAKE A GIFT CARD BOX TO YOUR FAVORITE PINTEREST BOARD! Super cute! I’ll definitely be making some of these for the holiday’s. Much better then just in a card. Thanks for sharing. I love this idea! However do you think the card stalk is sturdy enough to send through the mail? I don’t think it would make it on it’s own. But if you put it in a smaller box or padded envelope it would probably do just fine. These are so cute! Great tutorial! 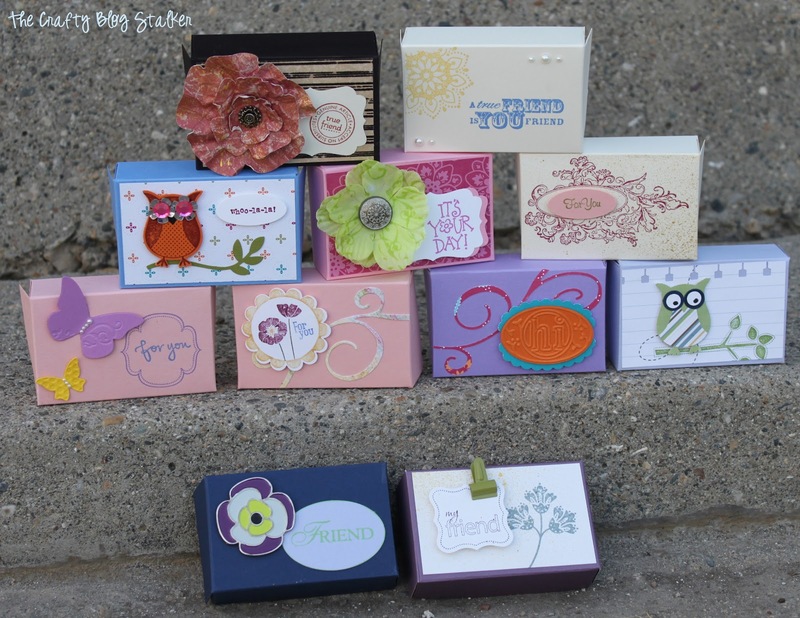 Thank you so much for sharing how to make these cute boxes. Pinning! I’d be the one eating PBJ sandwiches! 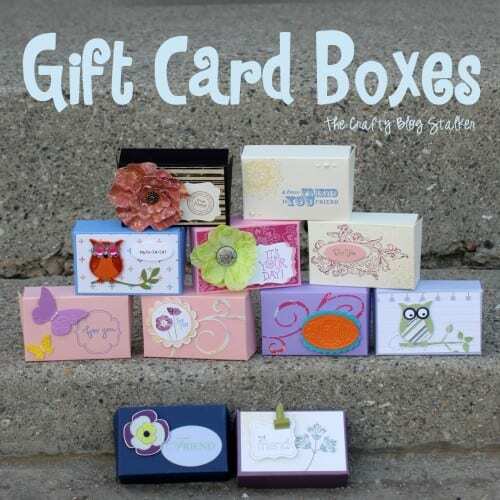 Fun idea and really cute gift boxes — love the owls!